We'll hear from a couple of lawmakers in a moment, but first, to explain how it's supposed to work at the individual level, we'll go to Kalispell and meet Ruth McCafferty. "I think it's a success story," McCafferty says about the jobs program. "I love this. I'm the poster child!" McCafferty is a 53-year old single mom with three kids living at home. 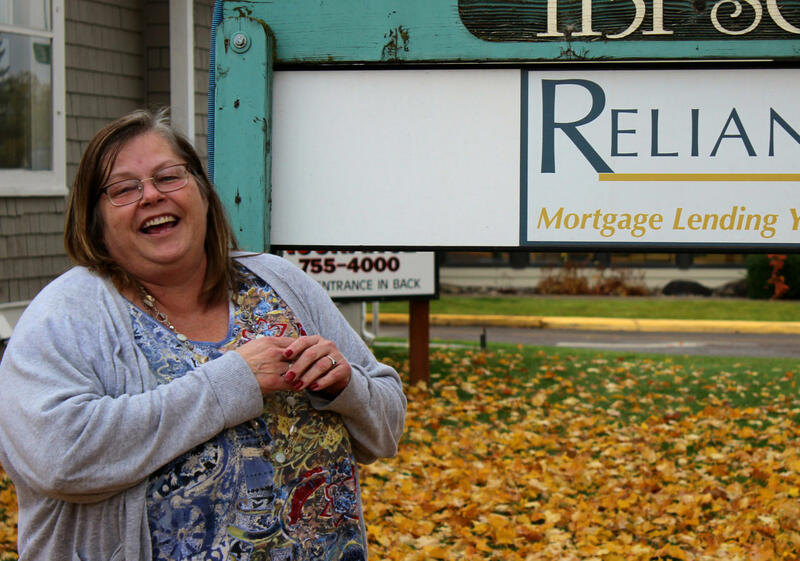 Seven months ago, she lost her job in banking, and interviews for new jobs weren't panning out. "Everybody was, 'you're in the top three, oh, you didn't get it,'" she says about her interviewers. "Or I'd call them back and they'd go, 'oh, we hired someone else.' And I thought, oh my gosh, Burger King here I come." McCafferty didn't know what she was going to do, but she knew she had to find health coverage for her kids and herself. Unemployment benefits wouldn’t cover the drugs she needs to control her diabetes and asthma. "One inhaler that I do is $647," she says. "It's like $1,000 a month. My plan was not to get them. Only, like, a couple that are affordable, like $60, and the rest them I was like, I guess I'll just be called wheezy from now on!" McCafferty says with a raspy laugh. When she lost her job, McCafferty qualified for Montana's new, expanded Medicaid program. And the jobs component of it means she also got a phone call from her local Job Service office, saying they might be able to hook her up with a grant to pay for training to help her get a better job than the one she lost. She was pretty skeptical, but came in anyway. "I was just like, OK, I'll come and talk to you." McCafferty figured they'd try to push her into truck driving school or something. What she wanted was training to become a mortgage loan officer, and she told Job Service them she wasn't going to accept just any training program - "Unless you wanna pay for this school" she told the woman she was working with at Job Service. "And she went, 'okay.' And I was like, alright then! We're in business." Job Service ended up paying not just for online training, but a trip to Helena to take a certification exam. Now, they're funding an apprenticeship at a local business until she can start bringing in her own clients and get paid on commission. "I'm able to support my family," she says. "I've got a career opportunity that's more than just a job." This is pretty much exactly what Senator Ed Buttrey from Great Falls had in mind last year when he asked fellow Republicans to support the Medicaid expansion bill he sponsored. Pretty soon, McCafferty will be making enough money to buy her own insurance. Medicaid will have given her, in Senator Buttrey's words, a hand up, and not a handout. But Senator Buttrey is concerned that there aren’t enough Ruth McCaffertys. He says only about 2,000 people have used the workforce training component, out of the approximately 53,000 new Medicaid enrollees who could be getting it. "I'd be happy if (the number of people getting job assistance) was 53,000," Buttrey says, "but it's what it is, and I am tasking Department of Labor to increase that number, and they have." Buttrey wanted to make participation in workforce training mandatory for new Medicaid recipients. But that's not allowed by the federal government, which is paying 90 percent plus of Medicaid expansion costs here. So it's fallen to State Labor Department Head Pam Bucy to figure out how to get people to sign up for job training or other help. By her count, about 3,200 new Medicaid recipients have gotten some kind of job-related help from the state. "The numbers are compelling," Bucy says. She says that more than eight in 10 people they've helped have found jobs, or better jobs, and their average incomes went up significantly, to around $40,000 a year. "Almost a 50 percent increase in pay, and 83 percent of people employed. You'd be hard-pressed to find a program that's that successful," Bucy says. She echoes Senator Buttrey’s frustration that more Medicaid recipients aren’t taking advantage of her department’s job-finding help. She’s carved out a little money for marketing, but says that’s hard, because if it works, and lot more people come in, the marketing spend will deplete money she has for job training programs faster. Bucy says she already doesn’t have enough money to meet all the potential demand. So the workforce development component of Montana’s Medicaid expansion is going into the 2017 legislative session with critics unimpressed. "In a word I'd call it pathetic," says Republican Representative Tom Burnett of Belgrade. He’s on the Montana Legislature's Joint Health and Human Services committee. "I just maintain my skepticism about the effectuality of government programs," Burnett says, "and you see the early results, and they're not satisfactory, and you think, well, my un-enthusiasm I expect to continue forward." 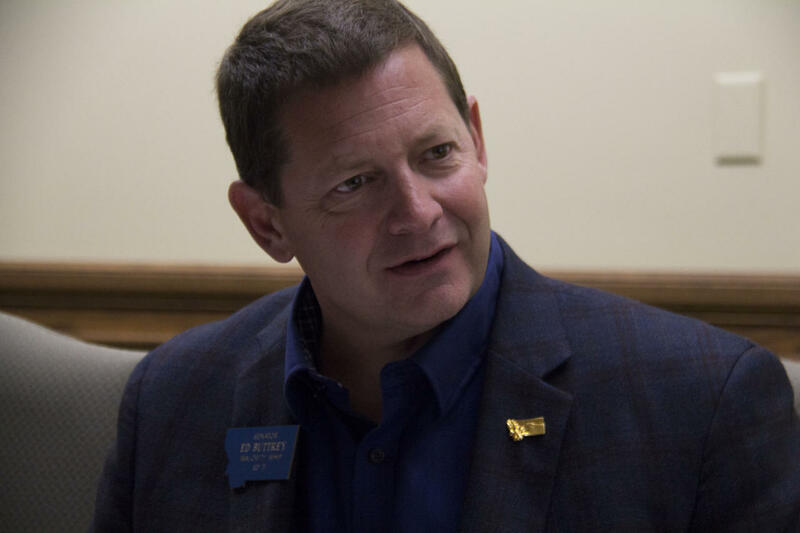 At least one Republican state senator has reserved a placeholder for a bill this session to abolish Medicaid expansion in Montana entirely. And President-elect Trump and the Republican majority in Congress have said they're going to repeal the Affordable Care Act, or “Obamacare” which made Medicaid expansion possible nationwide. So there's no guarantee that Montana's experiment in linking job training to Medicaid will be given much longer to prove its worth. This report was made possible, in part, by a grant from the Montana Health Care Foundation.